The next morning we stopped by Baja Amusements, a family entertainment center. 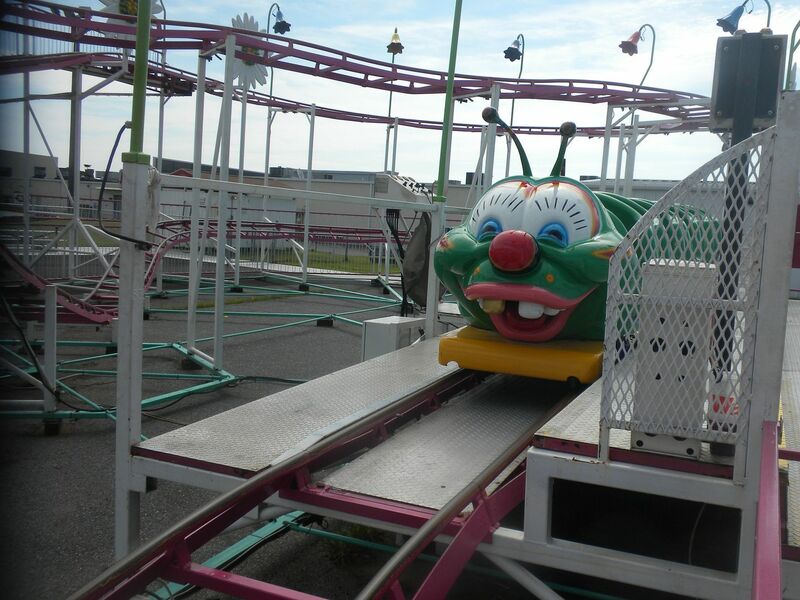 Wacky Worm (Fajume, Wacky Worm Family Coaster, 1998) Expected ride – 1 ride. 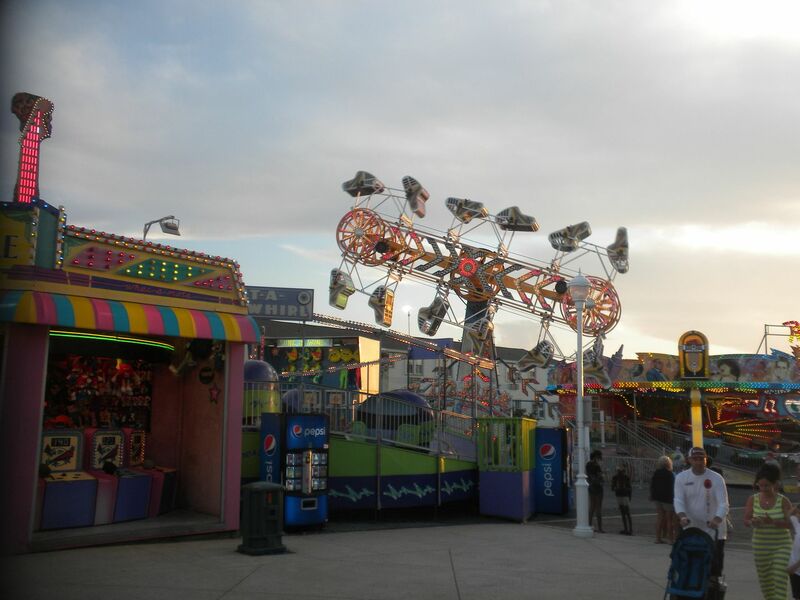 They also have Bumper Boats, Baja Mini Golf and Go Carts along with two children’s rides. 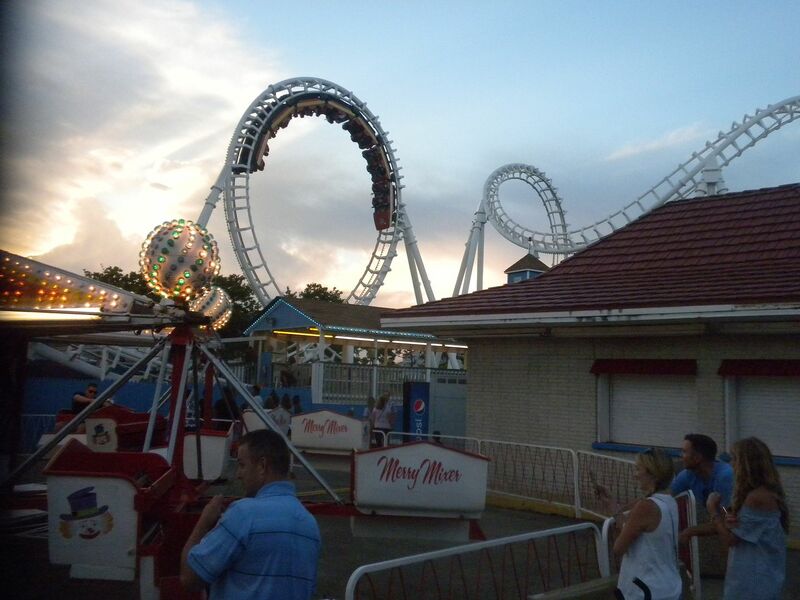 We then headed to Trimper’s Rides, a park that has been in the same family for 128 years. 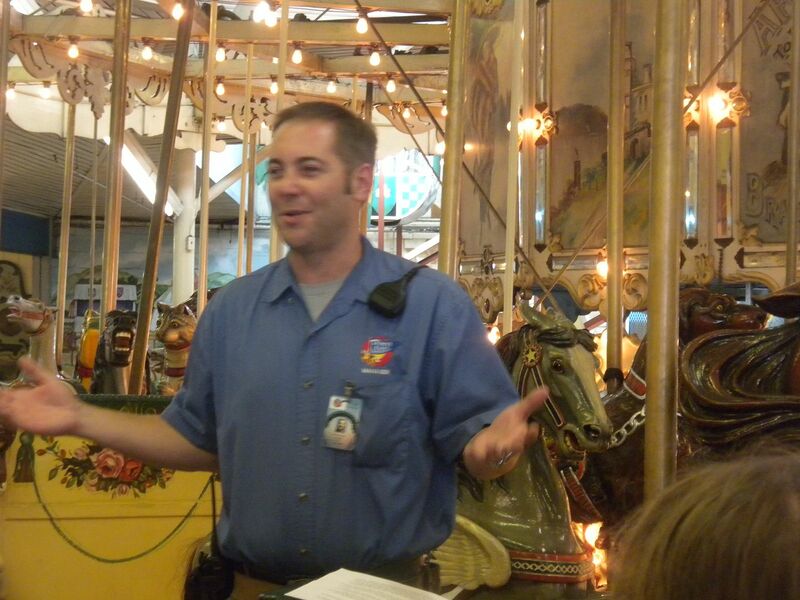 The park owner, Brooks Trimper, talked to us and told us about the history of the park. 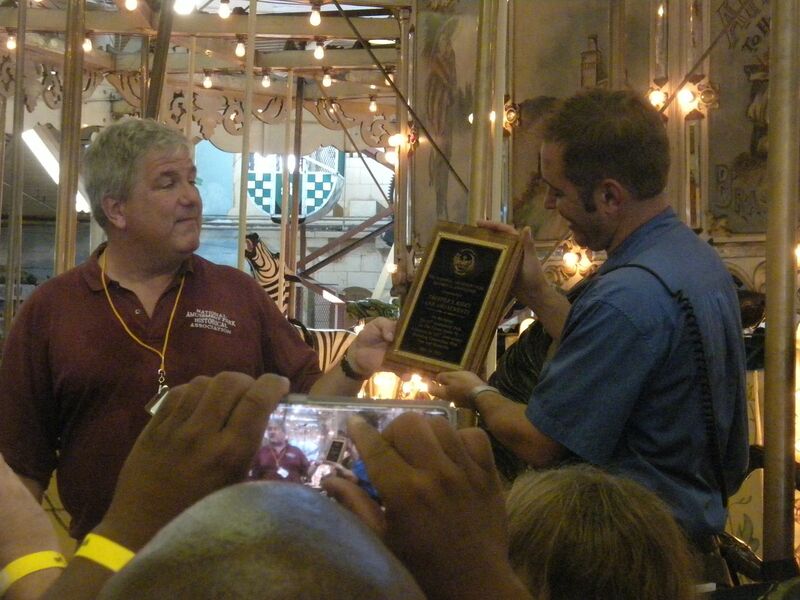 They were presented a recognition by the National Amusement Park Historic Association. We were provided with a five hour wristband, but due to a long drive Richard and I would have to leave in two hours, and so would David and Vanessa in order for him to make his flight. 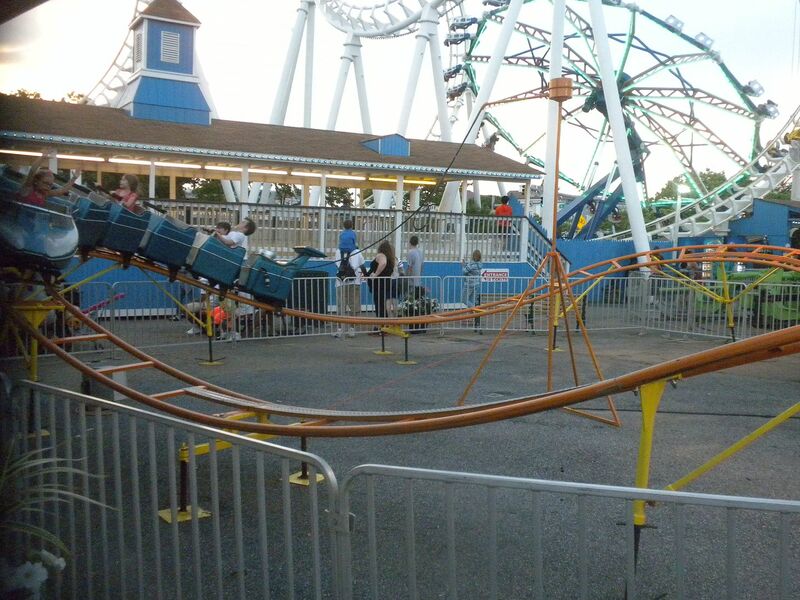 What is neat about this coaster is that they have put Endeavor in-between the elements, so that adds to the ride – 1 ride. 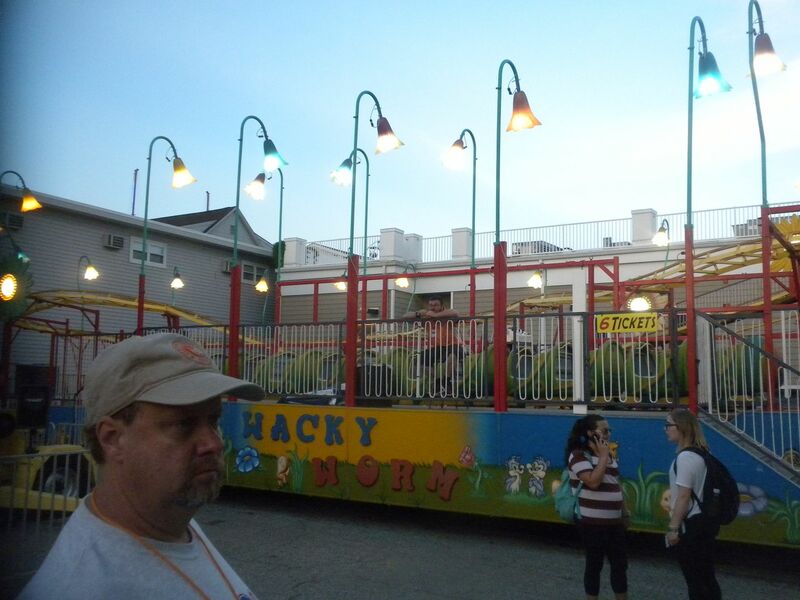 Wacky Worm (Fajume, Wacky Worm Family, 2006) Another Wacky Worm, our third – 1 ride. 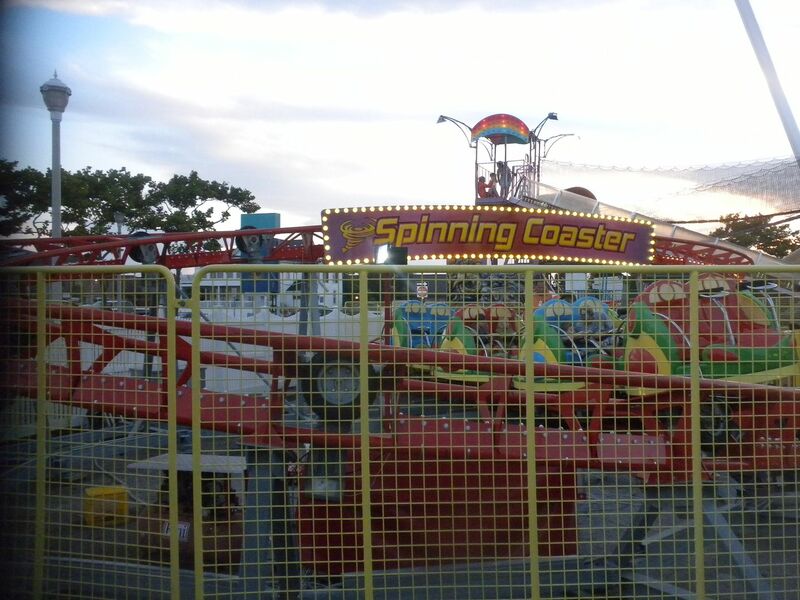 Great spinning – 3 rides. Adults are not allowed to ride, but we were this day. It was a pretty tight fit, so as David said as we got off, just because you are allowed to ride doesn’t necessarily mean you should! – 1 ride. 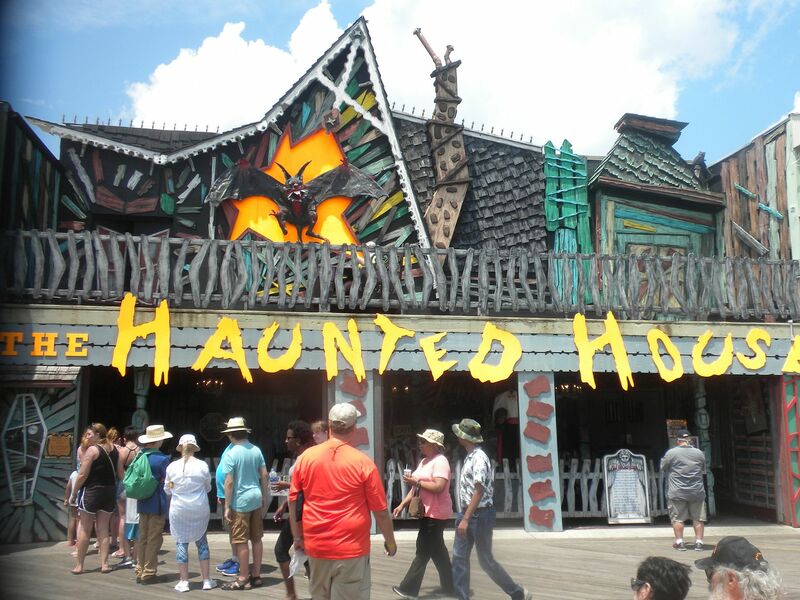 Haunted House: This two story darkride was designed by the legendary Bill Tracy and has classic stunts throughout. 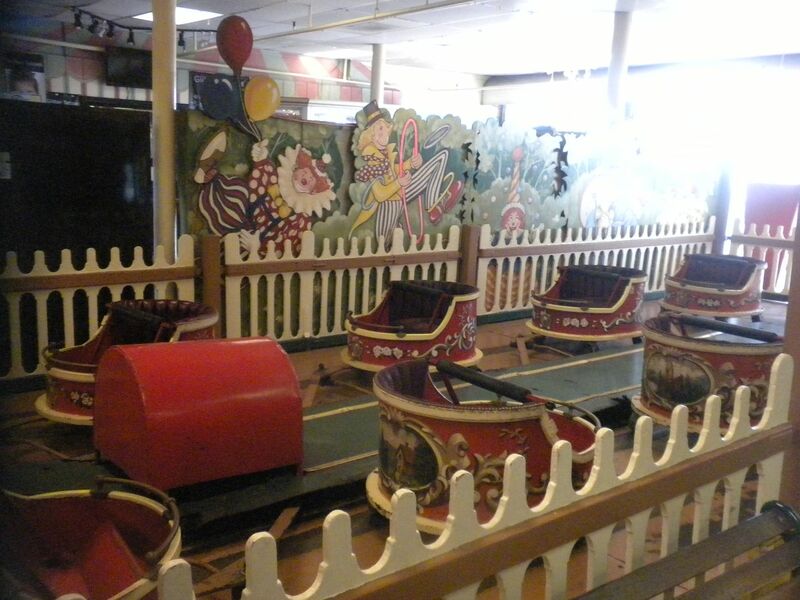 The ride vehicles are coffins which take you through a 6 minute ride. 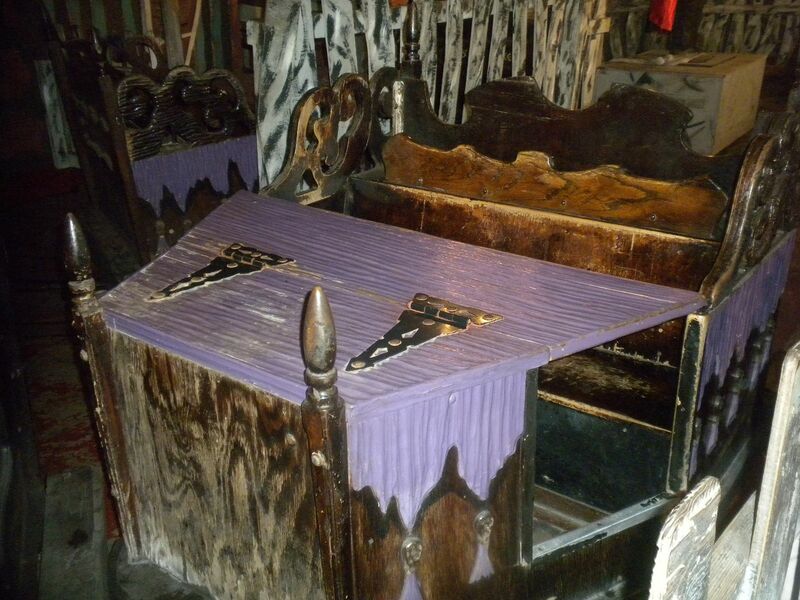 This is excellent and to me one of the best classic ride through haunted house – 2 rides. 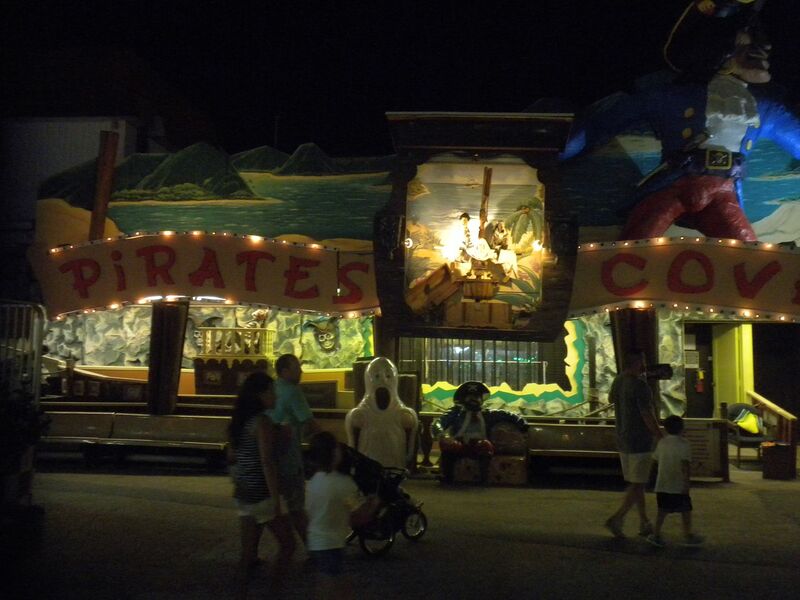 Pirates Cove: I missed this funhouse on my previous visit and it has a lot of classic funhouse stunts with an interesting theme – 2 walkthroughs. 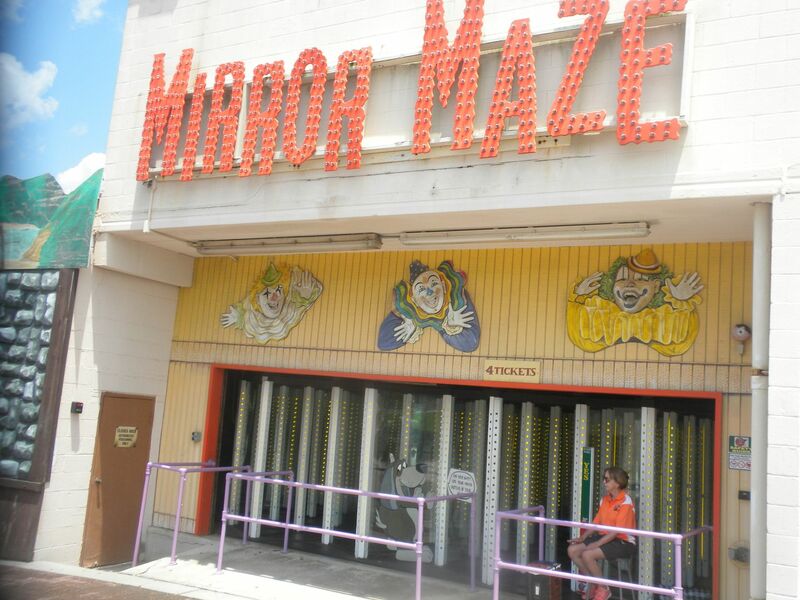 Mirror Maze: I missed this in my last visit so I was glad to get to do it – 1 walkthrough. 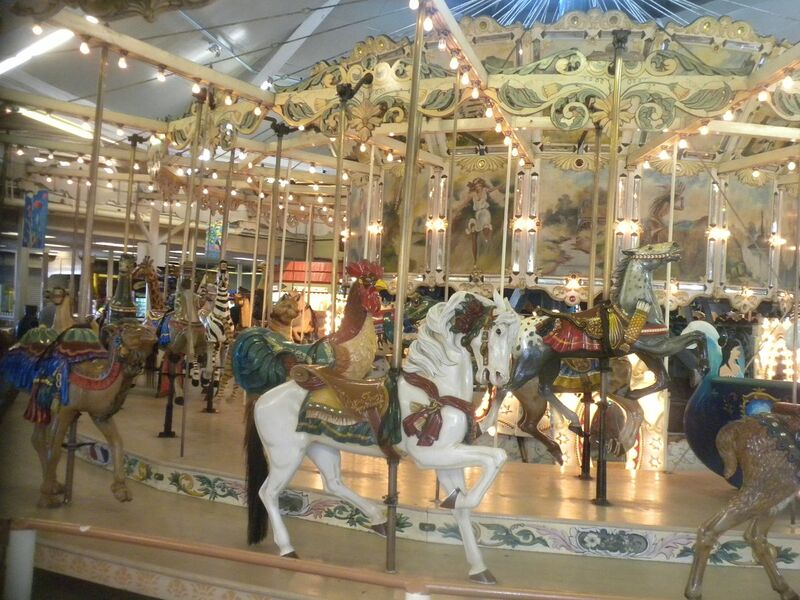 Big Merry-Go-Round: (Herschell-Spillman, Classic Wood Carousel – 3 rows (12 Jumping Horses, 11 Standing Horses, 25 Menagerie Animals (1 Camel, 2 Cats, 1 Deer, 2 Dogs, 1 Dragon, 2 Frogs, 2 Giraffes, 1 Goat, 1 Lion, 2 Mules, 2 Ostriches, 2 Pigs, 2 Roosters, 1 Stork, 1 Tiger, 2 Zebras), 4 chariots), 1912) Trimper’s Rides & Amusements, Ocean City, MD (1912-present). 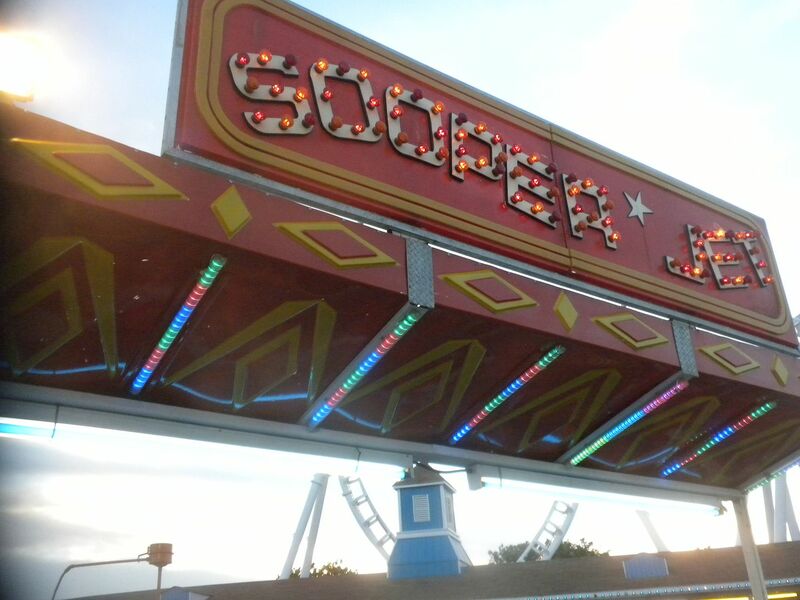 What a classic ride, and it is in its original location – 1 ride. 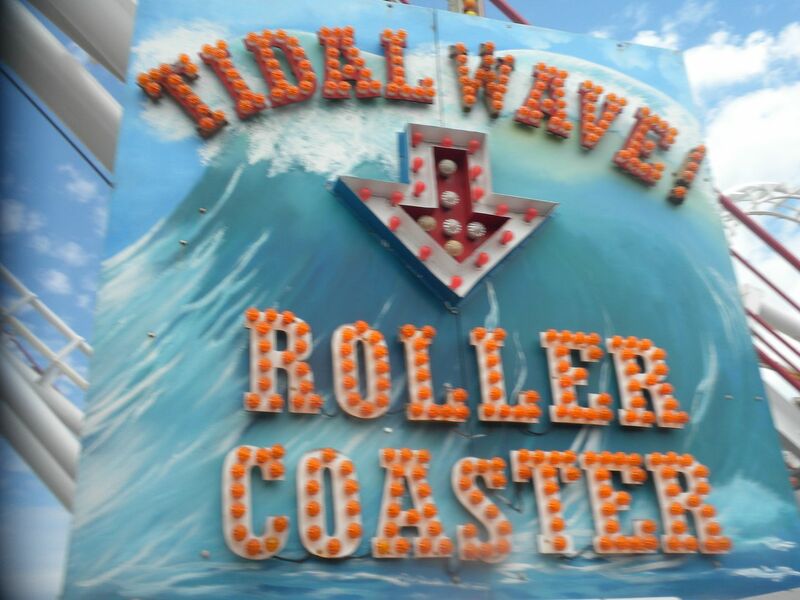 Endeavor: These modern versions of an Enterprise are fun and its placement between the elements of Tidal Wave made it really fun – 1 ride. Rock O’Plane: These are so much fun – 1 ride. I did not ride Big Dodgem; Freakout; Himalaya; Merry Mixer, a Scrambler; Pirate Ship; Rock & Roll Matterhorn; Tilt-A-Whirl and Zipper. 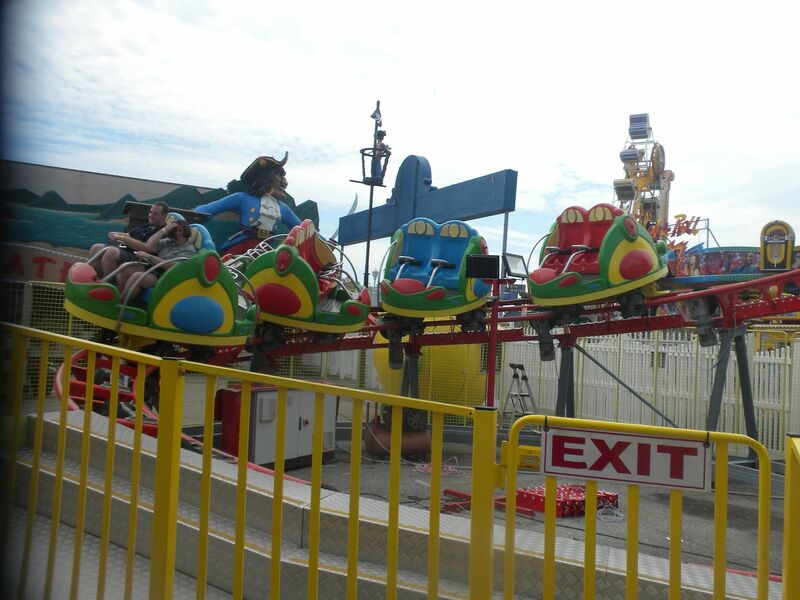 In addition the park has 24 children’s rides. Unfortunately Aladdin’s Lamp, a funhouse, was removed since my last visit, and I didn’t get to do it then as the park closed early due to rain. This is a nice park squeezed into a tight space. I did not get to do it justice in the short time here, but I did get more done than on my last visit. After a quick meal on the midway, Richard and I left about 2:00 for our long drive back to his house in South Carolina. We arrived around midnight, and I was back on the road at 5:30 to make it to work on time. I was tired, but it had been a great trip, celebrating ACE’s 40th anniversary at some great parks. It was time to get ready for the next big trip – Japan – East Meets ACE in September.